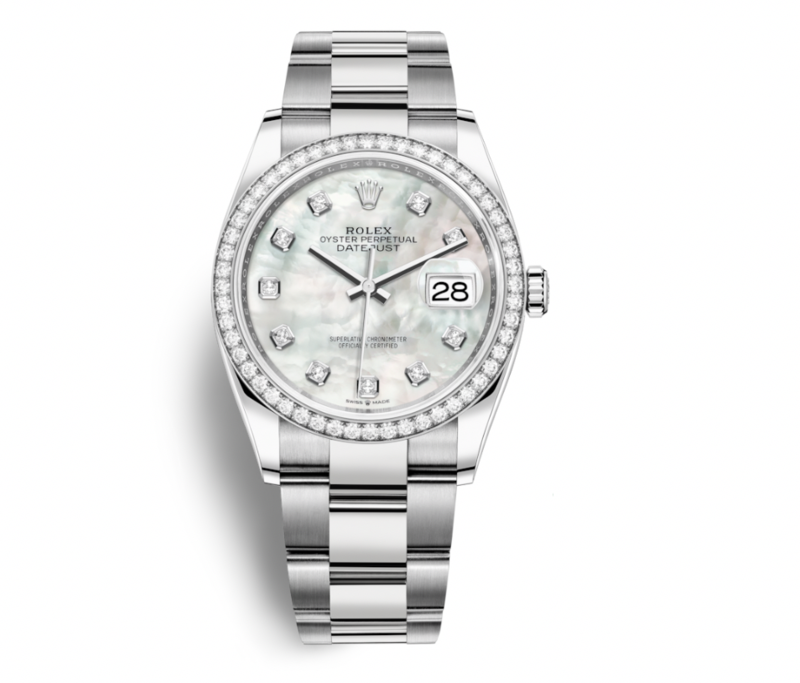 Rolex just released their new 2019 models at Baselworld, one of the world’s largest tradeshows for the watch and jewelry industry. Last year Rolex started a trend with the bedazzled Cosmograph Daytona. This year we’re seeing upgrades on all ends of the spectrum, from subtle tweaks to even more lavish gemstones. The Yacht-Master is essentially an upscale Submariner, destined for the sea. It was first introduced in 1992, and early designs included an etched bezel insert that was permanently soldered to the bezel, larger hands, and smooth rounded edges. 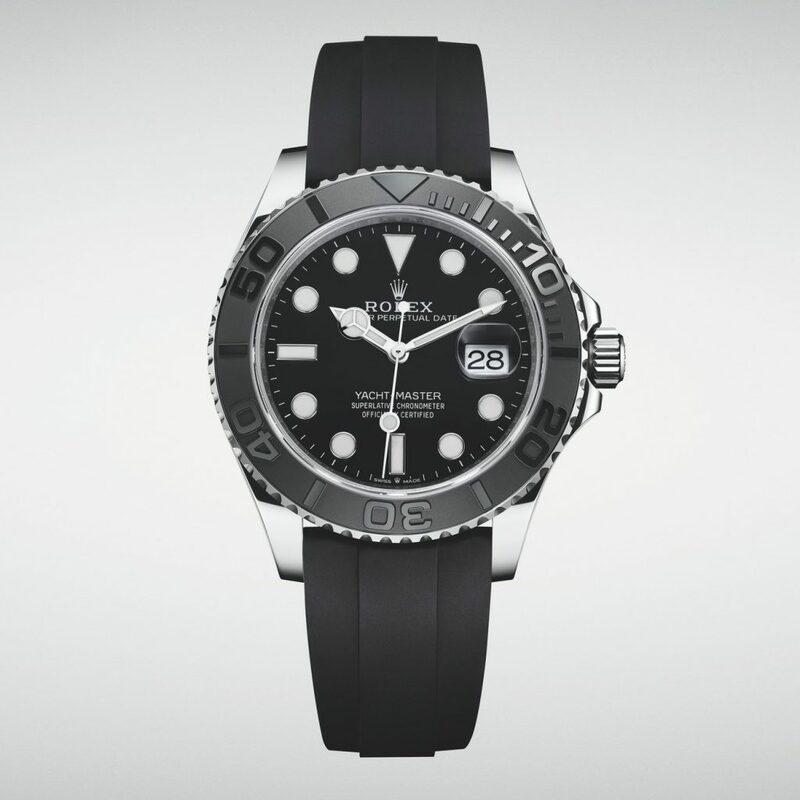 Rolex has embraced the monochrome trend with a black dial, matte black ceramic bezel, and black Oysterflex bracelet. The black beauty is offset by an 18 ct white gold case, while the bracelet combines the reliability elements of a metal bracelet and the flexibility, comfort and aesthetics of an elastomer strap. Finally, the new release showcases the calibre 3235 movement. The Sea-Dweller was designed for professional deep-sea divers and was made to withstand ultra harsh sea conditions. 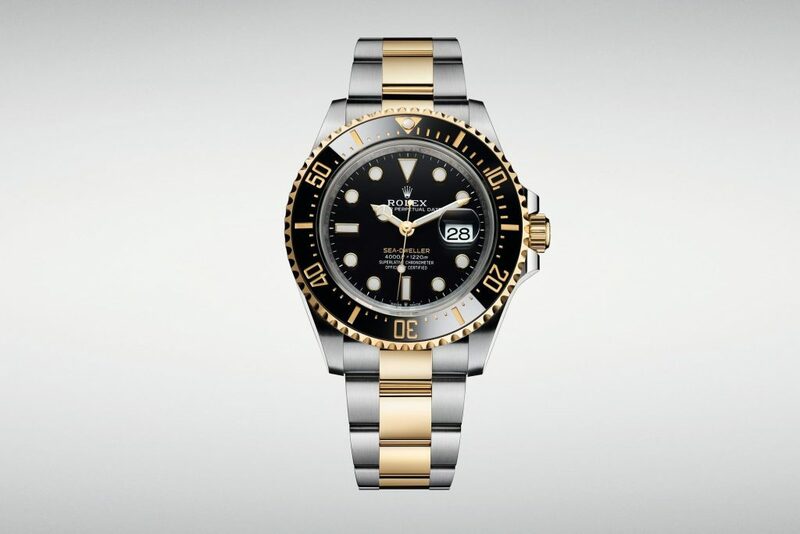 Rolex outfitted the Sea-Dweller with the helium escape valve in 1967, which allows the watch to withstand immense pressure changes while maintaining its waterproof capability. The new Sea-Dweller is bigger and bling-ier and critics aren’t really happy about it. This Sea-Dweller features a 43 mm case and is featured in steel and 18ct yellow gold for the first time. It’s all about flight with the GMT Master. Since 1954, pilots have sworn by this Rolex model. The bidirectional bezel makes it easy to tell time in two separate time zones at once. 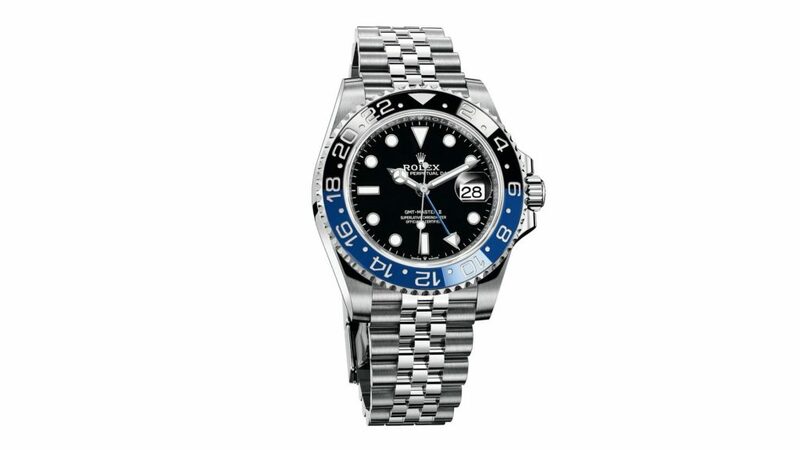 Last year, we saw the ‘Pepsi’ GMT-Master receive an upgrade with the jubilee bracelet, and this year the ‘Batman’ version follows suit. The oyster bracelet version has been discontinued for the moment. The ‘Pepsi’ GMT updates are also worth mentioning. The ‘Pepsi’ GMT is featured in 18 ct white gold with two dial options- a deep blue and a meteorite dial. These new GMT Master II’s feature the new 3285 movement with a guaranteed power reserve of approximately 70 hours. The Day-Date is the iconic watch of the elite. Only manufactured in precious metals- 18 ct white, yellow and Everose gold and 950 Platinum- it’s THE watch for A-listers. Oh but it gets even MORE elite. Keep reading. Hyper. Luxury. The day and date features remain a constant, but the dials get remastered with two ombre versions in green and brown, turquoise, pink opal, and for the finale- diamonds on diamonds. 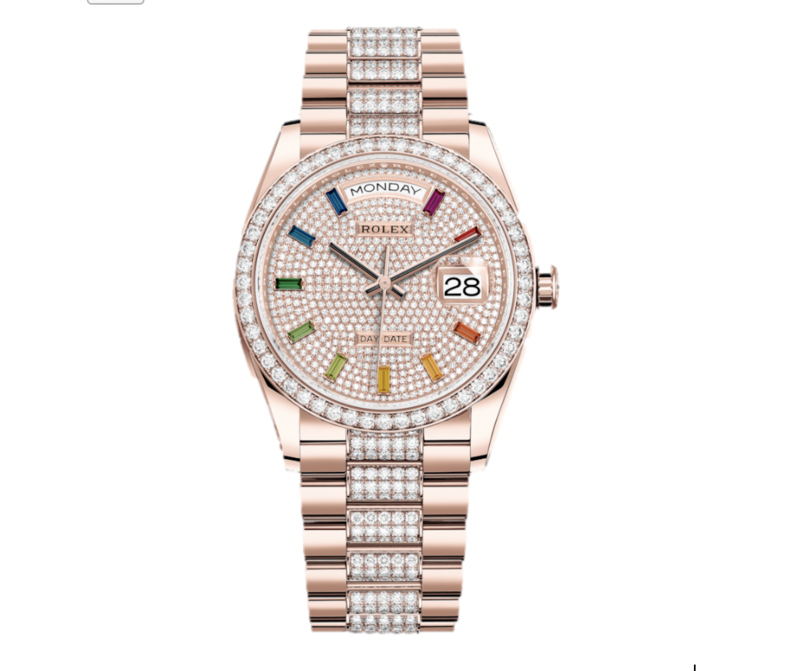 The new ‘Rainbow’ Day-Date features a bezel, dial and bracelet all paved with brilliant cut diamonds. Did we mention there are diamonds? Several of the dials feature diamond or other gemstone encrusted hour markers. This instantly recognizable, classic model was launched in 1945. It was Rolex’s first ever self-winding waterproof wristwatch that consolidated all of the Rolex innovations at the time. The Datejust 36 has two new, notable versions- a black sunray-finish dial paired with a fluted bezel and a mother-of-pearl dial fitted with 10 diamond hour markers a diamond fitted bezel. 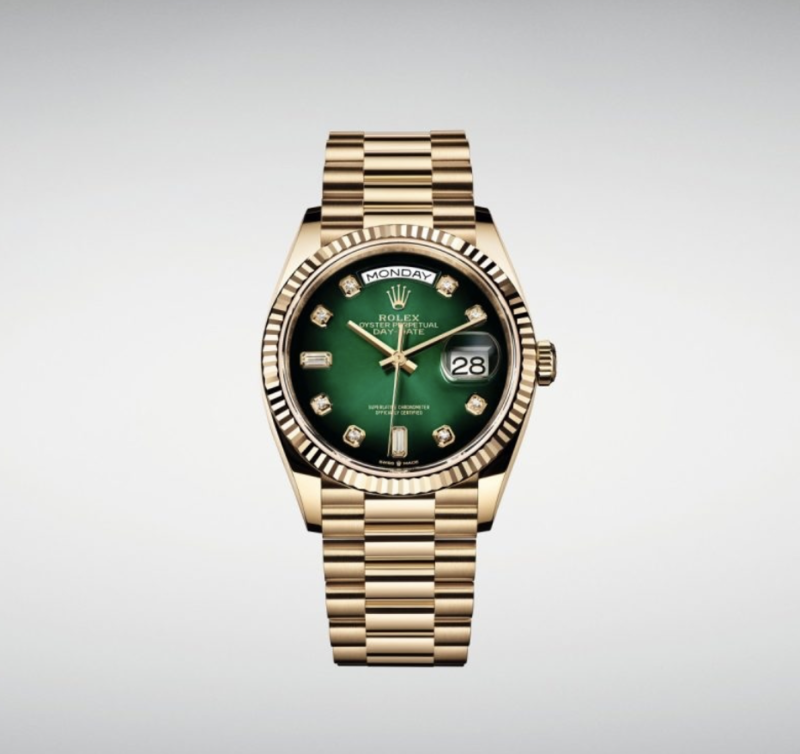 Whatever your tastes in a watch, Rolex aims to please. Understated, black basics? Got it. Prefer to drip diamonds? Check. The new releases have some collectors pining for days of yore. We love vintage Rolex, but we’re also on board with the new styles. Stay tuned for next week, where we’ll cover some of the other luxury watch releases from Baselworld. If you see anything from Baselworld 2019 that you want for yourself, let us know! Jonathan’s Fine Jewelers has the ability to overnight new watch models directly to our showroom.